Aretha Franklin’s family is now speaking out about the eulogy delivered at her funeral last week, saying they were offended just like the rest of us. Rev. 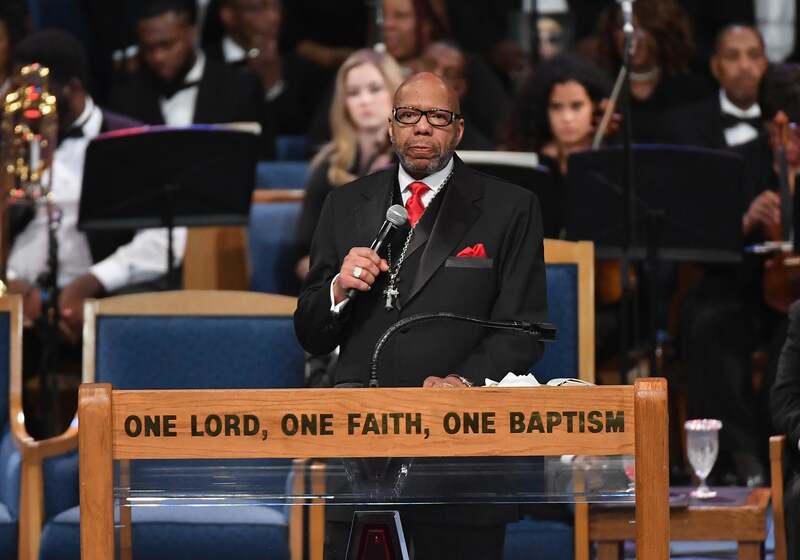 Jasper Williams Jr., of the Salem Bible Church in Atlanta, received major backlash after his eulogy for the Queen of Soul on Friday. Williams used the moment to give a harsh critique of Black America in a moment when many believed he should have been honoring one of its greatest icons. “He spoke for 50 minutes and at no time did he properly eulogize her,” Vaughn Franklin, the late singer’s nephew, told the Associated Press Monday, adding that he was speaking for the family. Vaughn also said that Williams was picked because he had spoken at the funeral for Aretha’s father, C.L. Franklin, three decades ago. The soul singer did not specifically ask him to speak at her funeral. But the good reverend has held his ground so far, telling the Atlanta Journal-Constitution that he expected the backlash. He also told the AP that he respects the family’s opinion, stopping short of apologizing. TOPICS: Celebrity Aretha Franklin aretha franklin funeral rev. jasper williams jr.